Here's how the moon went down for the December 10th total lunar eclipse. 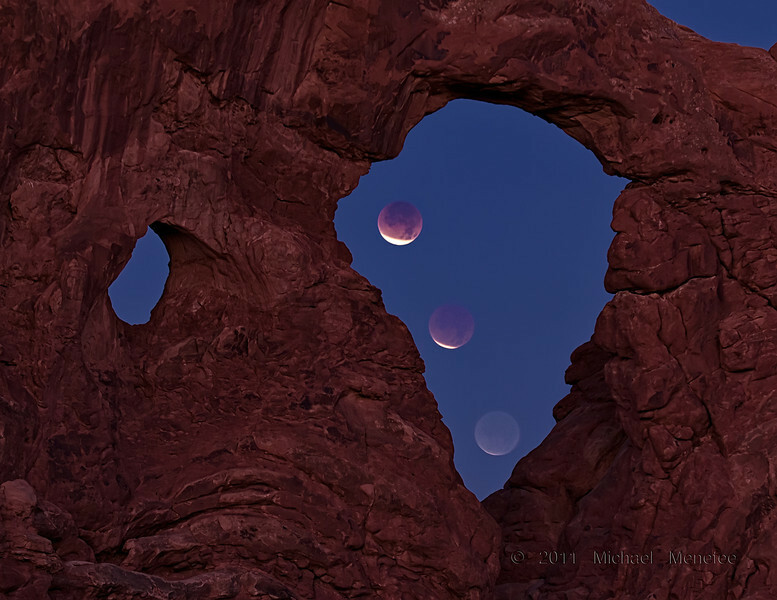 From my location at Arches National Park we experienced a selenelion where both the Sun and the eclipsed Moon can be observed at the same time. You can see how the apparent brightness of the eclipsed moon dramatically decreased as the light of sunrise twilight began spilling in. See the first comment for the last shot I was able to pull off the eclipse, it looks mighty close to totality but was very difficult to see with the naked eye at the end. Shot Notes: This is a composite image. I did actually shoot all of the moons through Turret Arch, but due to needing to keep moving the tripod to keep the moon framed by the arch a composite was needed. To ensure some accuracy I used a streak from a long exposure of the moon to make sure I placed each moon in the correct location chronologically.